CIRP IPS2 is a major yearly event for PDRL. The conference gathers researchers worldwide to share theoretical and practical experiences showing that transition towards Industrial Product-Service System. 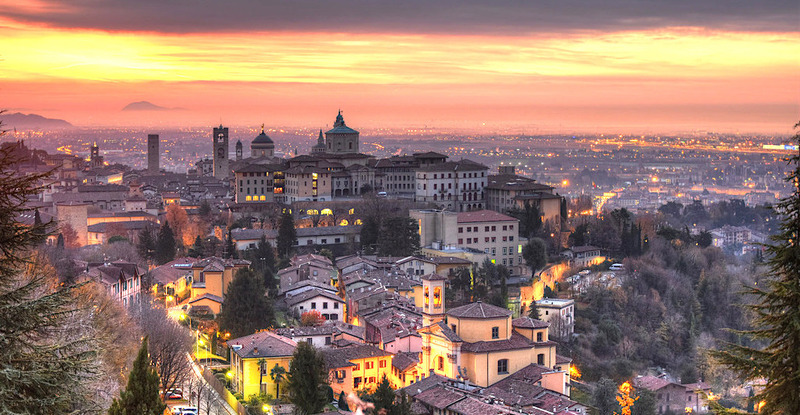 The conference this year is hosted by the University of Bergamo. Sessions and social events take place in the charming setting of Cittá Alta, the town historical center, surrounded by the medieval Venetian walls. The 8th CIRP IPS2 spans 2 days (June 20th and 21th 2016) and features 95 papers, divided in 20 sessions. The program is backed up with plenary sessions, industrial roundtables and a visit at ABB facilities. Prof. Tobias Larsson will have the honor to hold the first of three keynote speeches, on the topic of “Disruptive and democratizing technologies powering the transition towards circular economy and PSS”. PDRL will further contribute to the event with 4 papers. The first paper is a joint effort between BTH , GKN Aerospace Systems and Chalmers Institute of Technology, originating from the findings of the VITUM research project. The paper presents an approach for the multidisciplinary evaluation of alternative modular concepts in preliminary design, and applies it to an industrial case concerning the development of a module component for an aero-engine. The increasing need for urbanised areas require companies to think differently about how we go about achieving this increased urbanization. In this second paper, BTH, Volvo Construction Equipment and the Center for Design Research at Stanford University presents key topics that need to be addressed when developing sustainable Product Service Systems for the urban mining segment. In the Model Driven Development and Decision Support (MD3S) research profile value models are investigated to facilitate communication and collaboration in the earliest stages of the Product Service System design process. The theoretical foundations for such “boundary objects” (BO), working as communicative device across the members of the PSS cross-functional design team, are laid out in this paper from Bertoni, Panarotto and Larsson. Keywords: Boundary objects; Product Service Systems; Engineering design; Servitization; Value model; Decision making. A main question emerging from the above work is about measuring the effectiveness of value models as ‘boundary objects’. Panarotto, Bertoni and Bertoni describe setup, method and results from experimental activities aiming at verifying the use of value models as BO in PSS conceptual design. Keywords: protocol analysis; value model; experiment; boundary object; conceptual design.